The Energy Solutions for Commercial sectors SWG of Energy Saving Solutions WG dispatched a mission to Chennai Tamil Nadu, India. 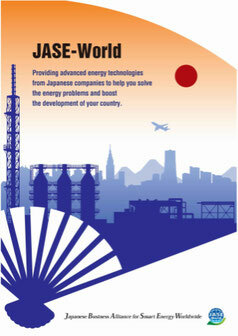 They carried out energy audits of Hotel in Chennai and analyzed those data. 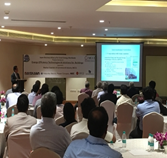 They held workshop in cooperation with Madras Chamber of Commercial and Industry and introduced Japanese energy saving technologies and products. And also they suggested energy saving solutions of hotels. In workshop more than 60 attendee participated and it was completed satisfactorily. 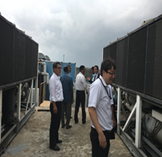 Members:Heat Pump & Thermal Strage Technology Center of Japan (leader of SWG), Mayekawa MFG, Hokuriku Electric Power Company, Asahi Glass India and secretariat.